While the first Thanksgiving feast likely centered around wildfowl and venison, modern Thanksgiving dinners feature turkey. Turkey is somewhat easy to make (or so I’ve been told), but it’s important to follow some basic food safety rules when handling and cooking your turkey. The USDA recommends thawing frozen turkeys in cold water, but thawing via microwave is also acceptable. When handling the turkey, remember to wash your hands often but DO NOT wash the turkey—a bird bath in the kitchen is a sure way to spread pathogens to other surfaces. 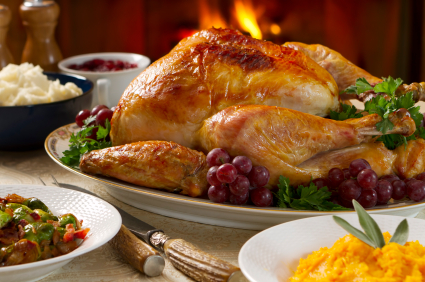 Remember, the only way to ensure that you’ve killed potentially harmful bacteria is to thoroughly cook the turkey at a minimum of 325° F until it reaches an internal temperature of 165°F in three places: the thickest part of the breast, the innermost part of the thigh, and the innermost part of the wing. Finally, it’s probably pretty safe to say that you’ll be stuffed at the end of your meal, but remember that your bird really shouldn’t be, so that you can ensure even cooking. If you’re a stuffed-poultry traditionalist, don’t fret—the USDA has safety guidelines available for all you fast-and-loose Thanksgiving cooks. There’s more to Thanksgiving than turkey. If you’re like me, the real stars of the Thanksgiving table are the appetizers, side dishes and desserts. While these items are usually a little less dangerous from a food safety-perspective than handling and preparing raw poultry, it’s important to remember that pathogens can develop in just about any food via cross-contamination. Remember to keep meat, poultry, seafood, eggs and produce separated when shopping and preparing foods. In addition, remember to keep cold foods cold (40°F), and hot foods hot (140°F). Ok, so you’re stuffed and ready to settle in for some football-watching and a nap. Your food safety job is done, right? Wrong. It’s important to properly handle the leftovers so that you can enjoy them the next day without threat of illness. As we insinuated above, bacteria grows rapidly between the temperatures of 40°F and 140°F. So, it’s important that safely-prepared food is left out at room temperature no longer than two hours. When refrigerating leftovers, make sure to cover them, wrap them in airtight packaging or seal them in storage containers to help keep bacteria out. Leftovers can be left in the refrigerator for three to four days, and in the freezer for three to four months. When reheating leftovers, make sure they reach an internal temperature of atleast 165°F. Follow these food safety tips, and you’ll give thanks for a happy, healthy and safe Thanksgiving. Gobble, gobble, everyone! 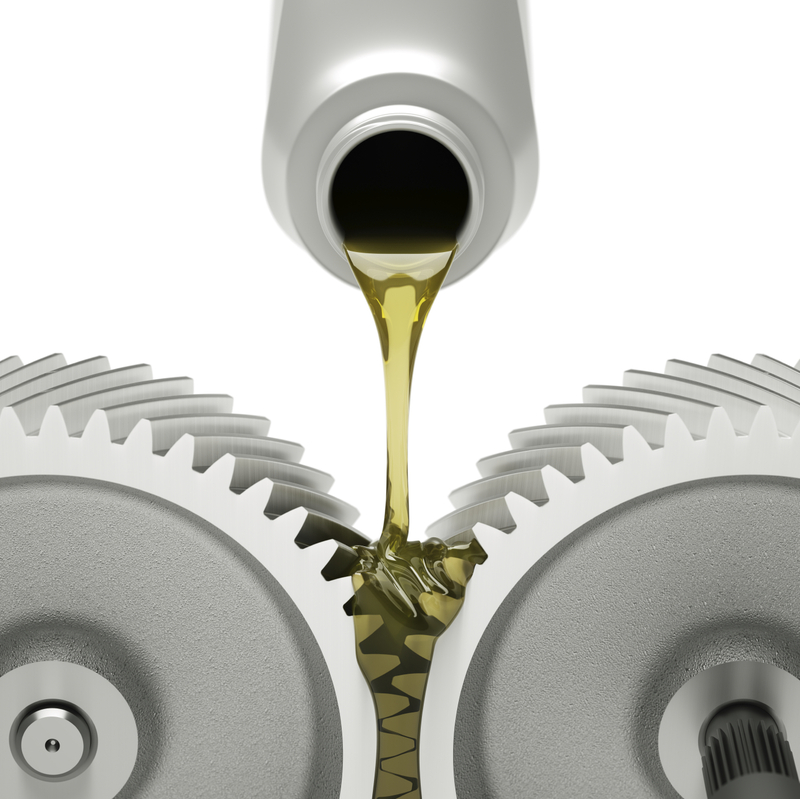 What do the NSF ratings mean for Food-Grade lubricants? H1 Rated – Incidental food contact only – where there is possibility of incidental food contact, but the amount used should be the minimum required to accomplish the required technical effect on the equipment so treated. H2 Rated – No food contact – for use in locations where there is no possibility of the lubricant or lubricated part contacting edible products. 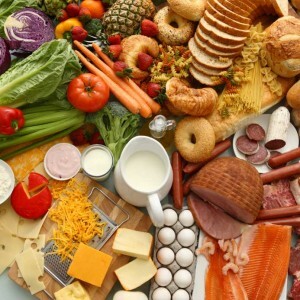 3H Rated – Direct food contact such as release agents – these products are used on grills, loaf pans, cutters, boning benches, chopping boards, or other hard surfaces in contact with food products to prevent food from adhering during processing. Some lubricants can be both H1 and 3H rated. 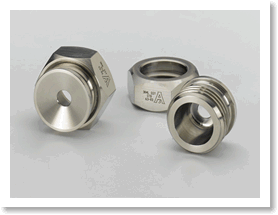 If you are unsure which lubricant to use, call our Lubricant Specialists at 800-826-8302 and provide information regarding your application and we will be happy to assist you.